“I Am She“ is a beauty pageant organized by Sushmita Sen that sends India’s official representative to the Miss Universe, Miss Asia Pacific World and Miss Globe International pageants. The 2012 “I Am She“ contest is on 28 July, 2012 in Mumbai. Since 2000, the only International Beauty Pageant that India has won is the Miss Earth 2010 (Nicole Faria). By winning the Miss Asia Pacific World 2012 crown, Himangini Singh Yadu (of “I Am She”) has once again brought India in contention for major International Beauty Pageant titles. 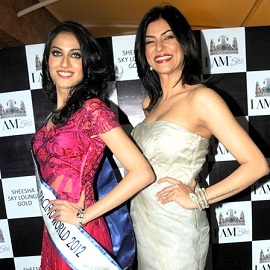 It has also boosted the profile and confidence of Sushmita Sen’s “I Am She” organization. 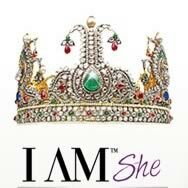 30 June 2012: Auditions will be held at Mumbai’s JW Mariott Hotel to finalize the 20 finalist for the “I Am She” Final. 9 July to 27 July, 2012: The Top 20 finalist will undergo Training and Grooming sessions. 28 July, 2012: Finals of the “I Am She” contest will be held in Mumbai. The Top 3 contestants will be crowned Miss Universe India 2012, Miss Globe International India 2012 and Miss Asia Pacific World India 2012. India’s Himangini Singh Yadu won the 2012 title of Miss Asia Pacific World on 16th June, 2012 in Seoul, South Korea. “I Am She” had sent Himangini Singh Yadu as the official entry to the Miss Asia Pacific World 2012 pageant. Former Indian Miss Asia Pacific winners are Dia Mirza (2000) and Zeenat Aman (1970). A large team of experts ensured that Himangini Singh was fully prepared when she went to Korea for the beauty pageant. Sushmita Sen shared her vast experience and conducted extensive sessions with Himangini. Neeta Lulla designed the stunning costumes for the Final and Talent round. Himangini’s evening gown was designed by Anjalee and Arjun Kapoor. For the Talent Show, Choreographers Vijayshree Chaudhry and Chetan Barot created a piece which was a mix of Bharatnatyam and Kathak. Choreographer and former model, Lubna Adams, was Himangini’s Fashion Choreographer. Svetlana Casper taught Himangini how to walk on stage. Skin care expert Dr.Tarsi ensured that Himangini had glowing skin. Fitness expert Nupur Shikhare along with Israar Khan, ensured Himangini was in peak physical shape. Nutritionist Pooja Makhija ensured that Himangini was eating all the right kind of food. Health care expert Dr. Nirmala Shetty, advised Himangini on taking care of her hair. JCB provided advice on hair styling. Riyaz Ganji provided Himangini with her pageant shoes. Curio Cottage and Aquamarine provided Himangini with Jewelry for the pageant. “Kryolan Makeup” helped Himangini with her makeup. 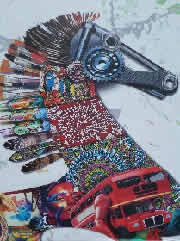 Himangini Singh Yadu’s Likes: Horse riding, swimming, basketball, travelling, reading, music. Himangini Singh Yadu’s Position at “I Am She”: She was a Top 10 Finalist at I Am She 2010. Previously she had won Miss Indore 2006. The “I Am She” contest was started by Tantra Entertainment Private limited (TEPL) in collaboration with former Miss Universe, Susmita Sen. Previously, “Femina Miss India” had the rights to send India’s official contestant to the “Miss Universe” pageant. In 2010 “Femina Miss India” relinquished the rights to send an India representative to Miss Universe and that is when TEPL acquired these rights. The first pageant was held in 2010. In its short two year existence, “I Am She” contestant, Himangini Singh Yadu, has won the title of Miss Asia Pacific World 2012. In 2011, Parul Duggal (I am She Miss Globe International India 2011) was the First Runner-up at Miss Global International 2011 and fifth at Miss Asia Pacific World 2011. In 2011, I Am She’s Tanvi Singla, was in the top 5 at the Miss Asia Pacific World pageant.